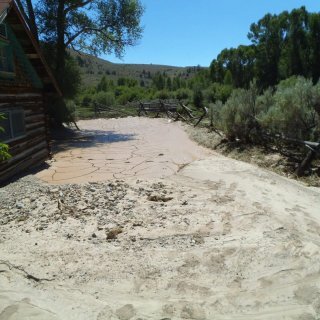 Hangman’s Gulch behind the Meade Hotel after the flash flood event. 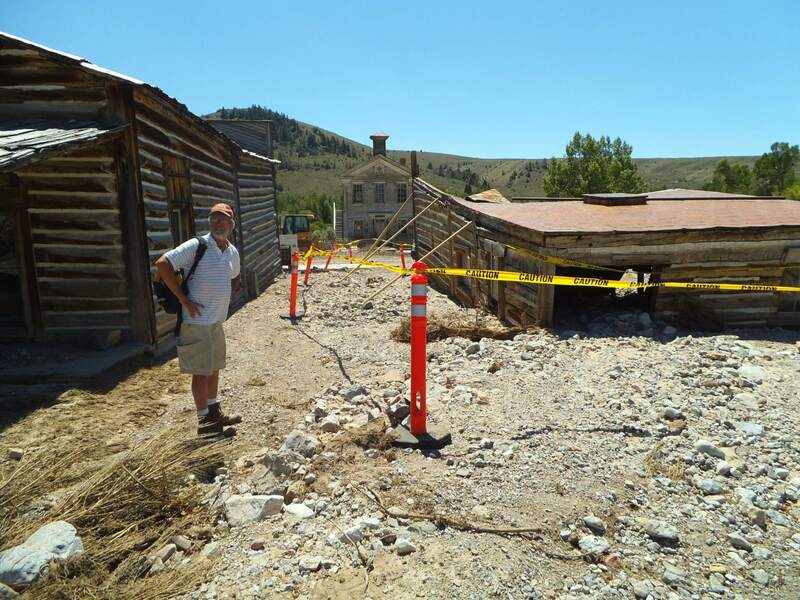 A flash flood on July 17, 2013, swept through Bannack, Montana, a National Historic Landmark. 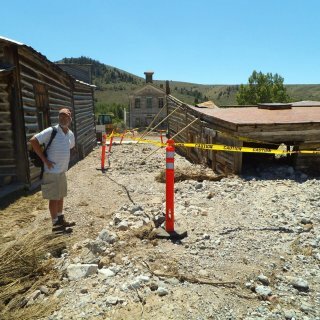 Bannack, the first territorial capital, was established in 1862 following gold strikes nearby on Grasshopper Creek. The town was occupied through the middle of the 20th century and became a Montana State Park in 1954. 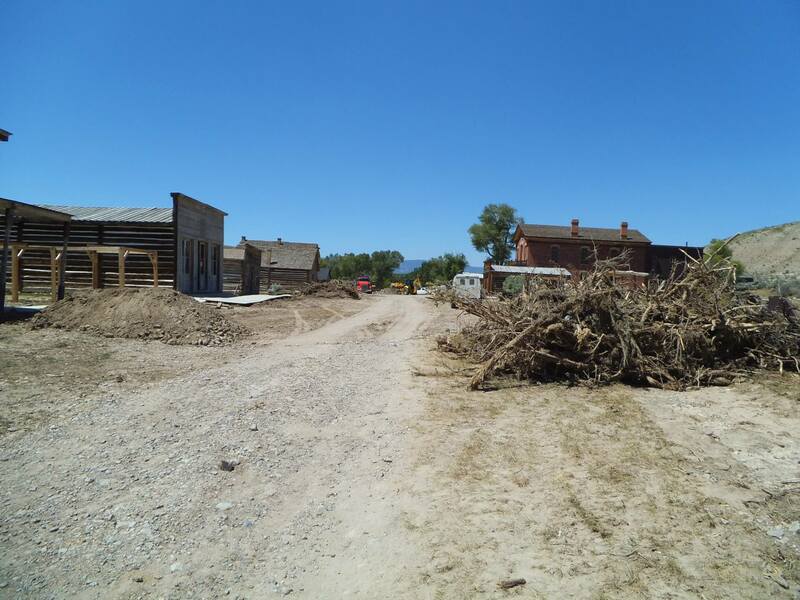 Since that time, remnants of the town have been maintained in a state of arrested decay and managed as a state park which seeks to interpret the late 19th century mining town experience to visitors. 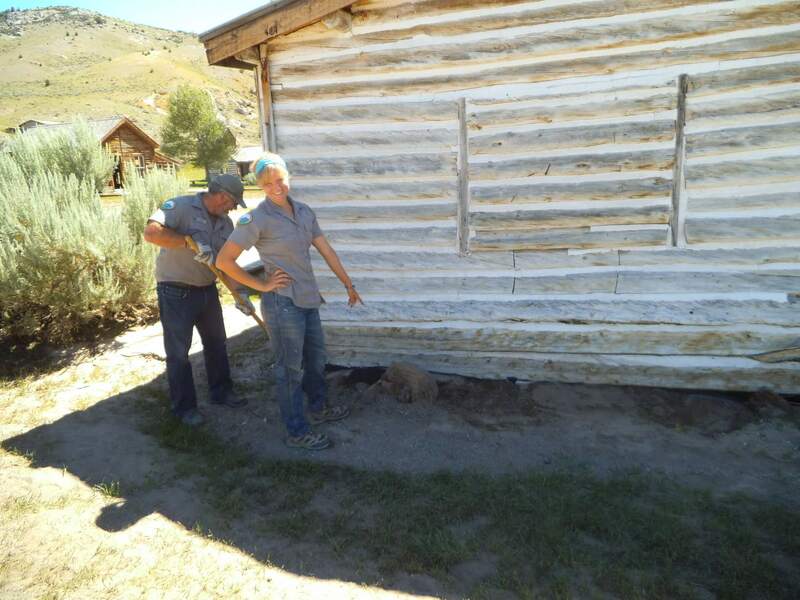 The flood event impacted archaeological deposits and buildings in Bannack, flooding interiors, destabilizing foundations, washing away structural elements, moving artifacts, and exposing new archaeological deposits. 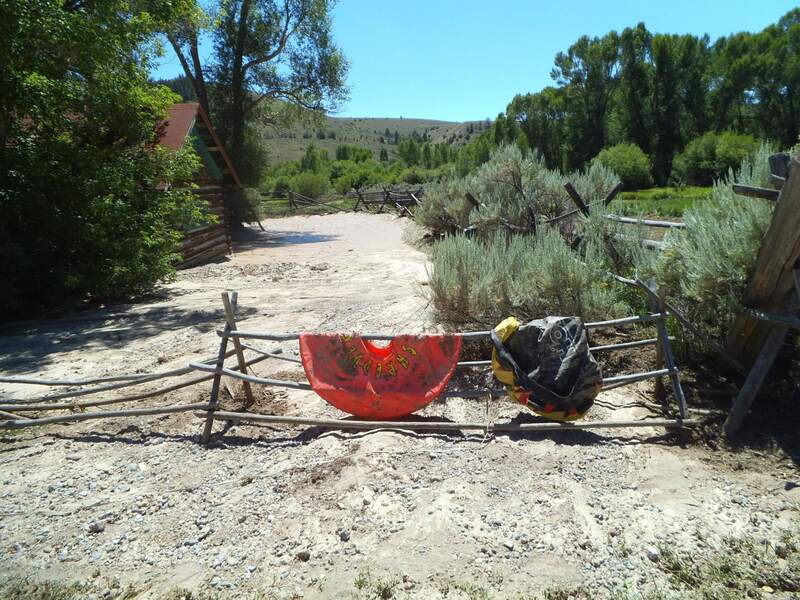 The impacts resulted in the temporary closure of the park to the public. 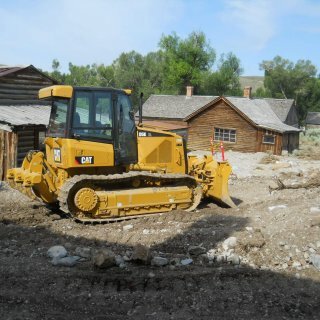 The flood also deposited significant amounts of sediment throughout the town, requiring removal by heavy equipment and excavation by hand. 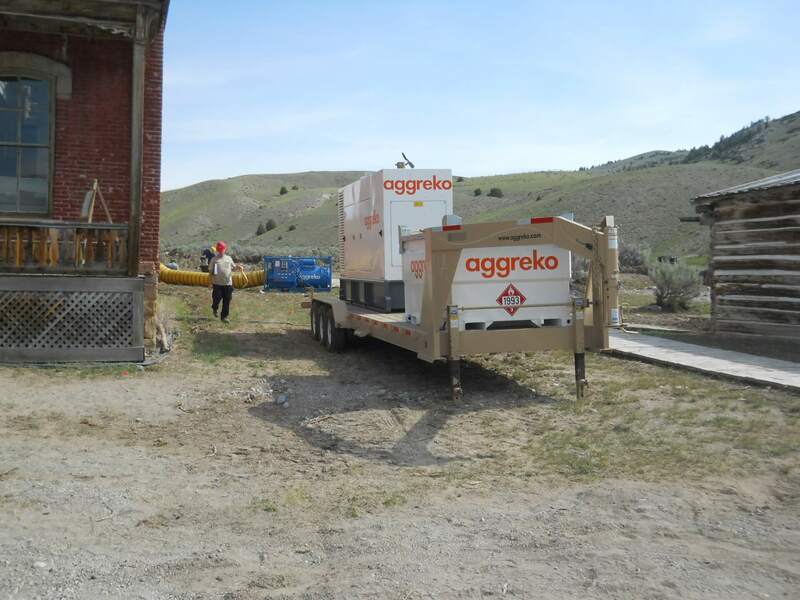 Western Cultural spent three days at Bannack working with park personnel and property restoration crews in an effort to monitor restoration work and provide advice on restoration activities to help protect the archaeological record at Bannack. 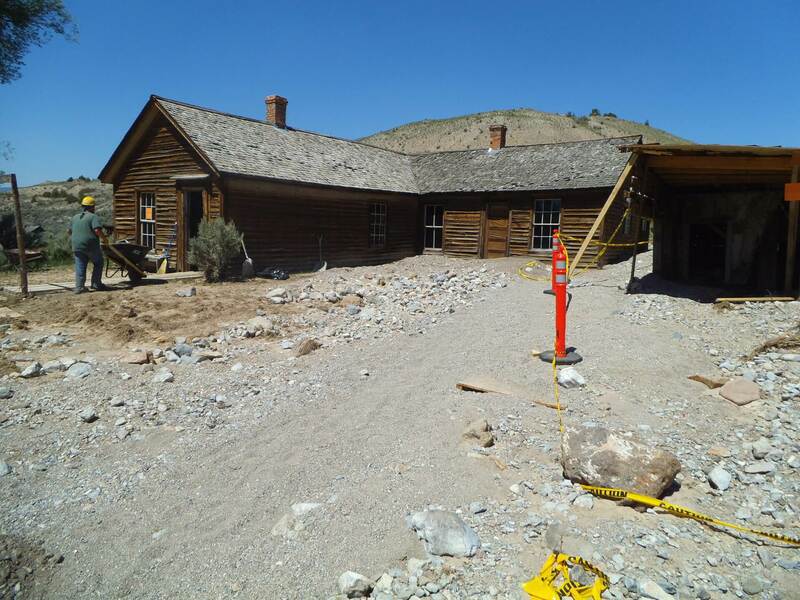 The primary focus for Western Cultural was to enhance the cooperation and coordination between park staff and property restoration crews in protecting the archaeological component of the Bannack National Historic Landmark. Park personnel provided Western Cultural with copies of the building notes from architects. Western Cultural then met with cleanup crews and asked about which techniques they were using, which tools and heavy equipment they were using and how Western Cultural could coordinate and cooperate with their efforts. 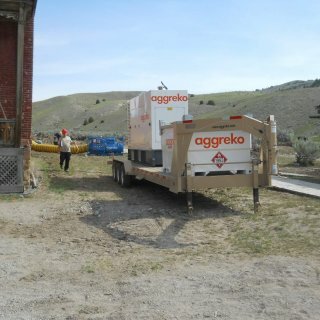 Western Cultural also met with a local contractor hired for the heavy equipment operations during the cleanup. Western Cultural set a plan for monitoring equipment activity as it worked around the site. 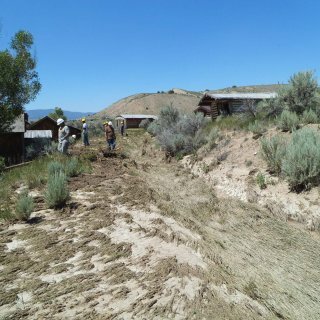 Western Cultural was also assisted by volunteers who helped recover disturbed artifacts, process those artifacts in the field, and lay landscape fabric near foundations damaged by the flood. The landscaping fabric was then covered with gravels. The notes from the architects said that the grade to these building was going to be restored to its original level and that missing cobblestone foundations would be replaced. 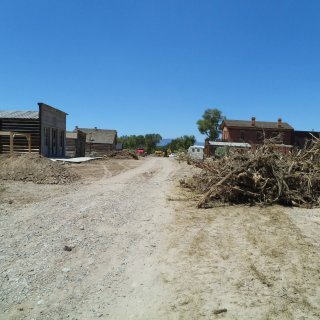 Western Cultural felt that it was necessary for future archaeologists to be able to discern the undisturbed soils around the buildings from materials brought in to raise or recreate the grade around the buildings. 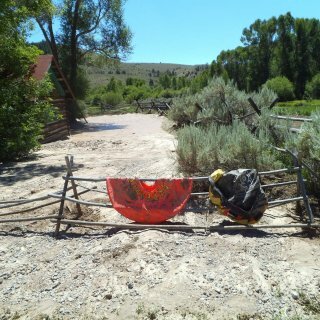 The landscape fabric serves as a horizon marker to future archaeologists. A total of 768 individual artifacts were collected during the project. The artifacts collected represent a snapshot of the materials observed on the surface immediately after the flood. 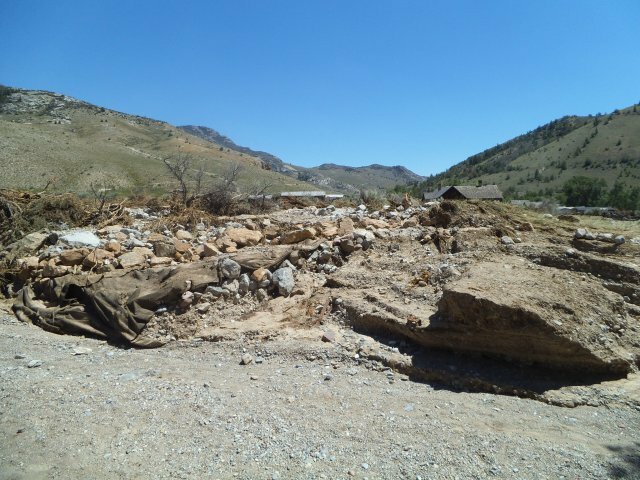 The flood impacted the location of all of the artifacts collected during recovery distorting their original provenience, and possibly moving them great distances. As such, it is hard to associate artifacts with specific buildings or occupation sites in order to draw conclusions about the types of activities present in those locations. In addition to these considerations, the mechanics of this flooding event did not distribute artifacts evenly,moving lighter artifacts greater distances from the center of the event and keeping heavierartifacts closer where the velocity of the flood was stronger. Individual artifacts were discussed in brief in the final report. 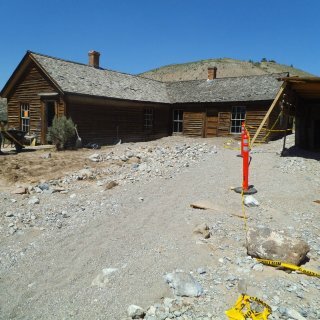 Bannack two days after the flash flood event. 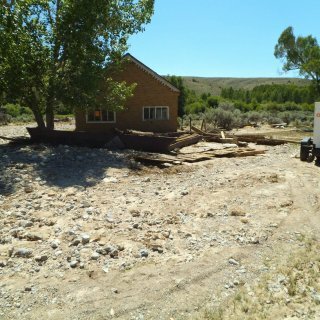 Clean up crew working after the flash flood. 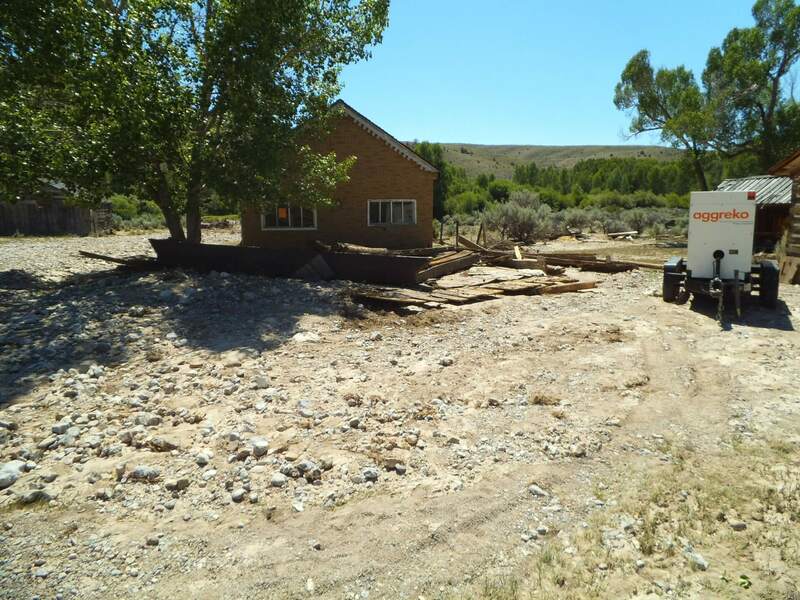 Cleaning up after the flash flood event. 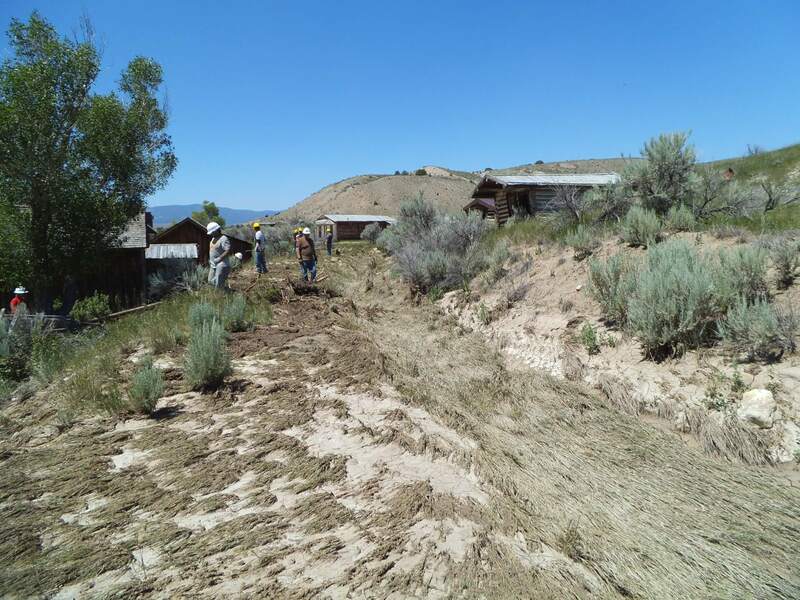 Surveying the debris flow, Bannack after the flash flood event. 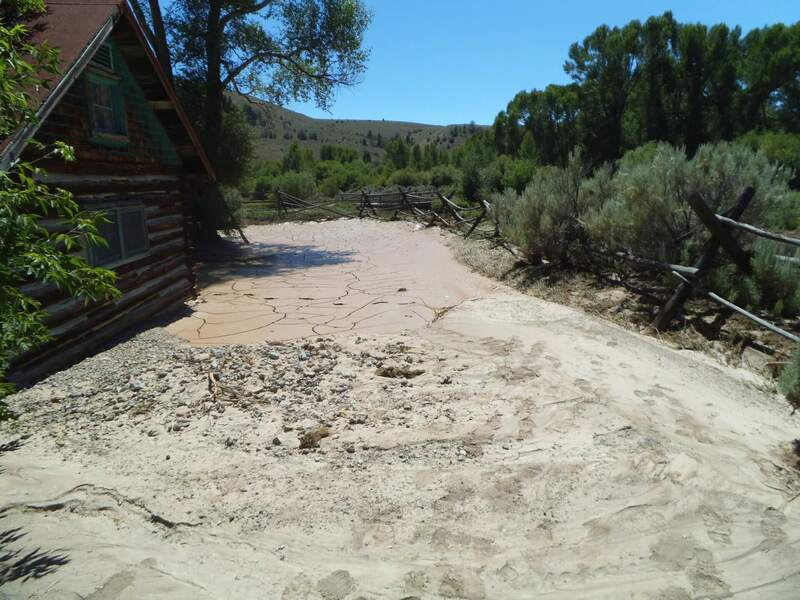 Mud flow west of the Governor's House, two days after the flash flood event. 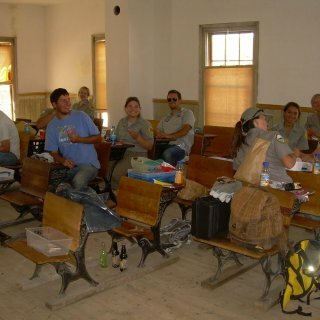 Americorps volunteers assisting with the archaeological data recovery. Remains of the Assay House strewn across the street. Clean up crews, forcing air through the Meade Hotel to help dry the foundation and floors. 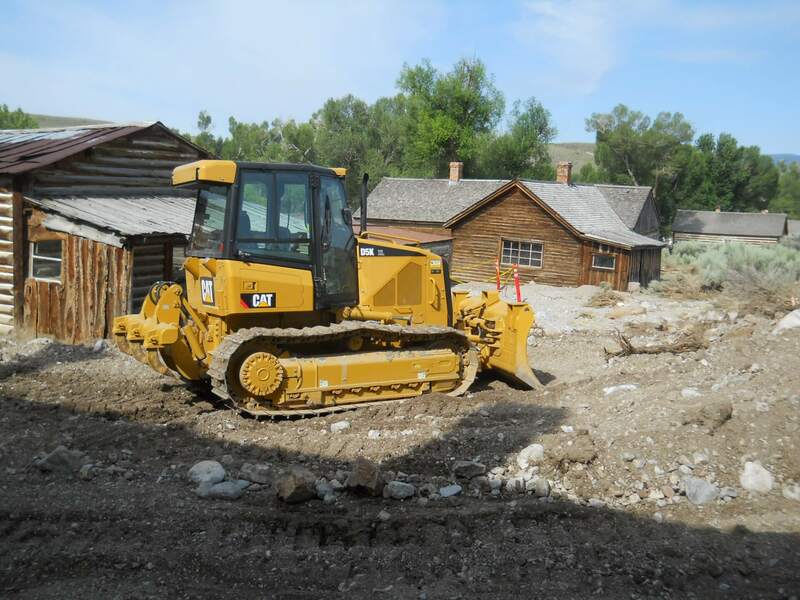 Heavy machinery clearing the mud flow after the flash flood. 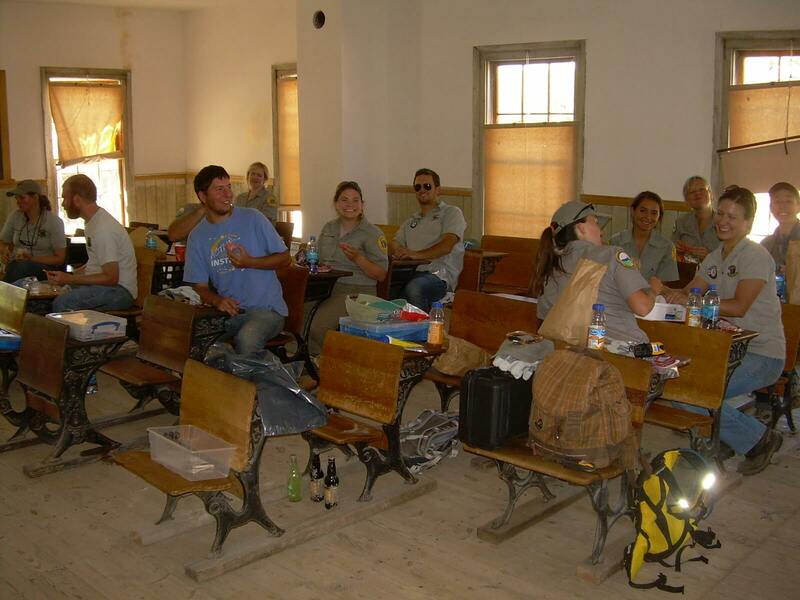 John Damon, Western Cultural Archaeologist with Americorps volunteers, lunch break, Bannack School House.